In this intensive workshop, learn how to create a natural indigo vat with fructose. You will be guided through the process from leaf to extract as you explore the ancient process of the color blue. 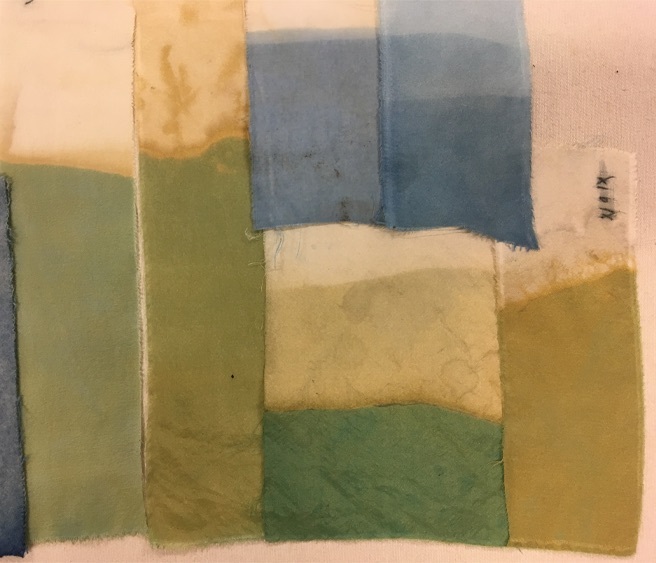 Make several samples of shades by multiple dipping and discover how introducing a tannin-based dye will create a multitude of blue-green shades. From here you will create patterns with iron and shibori techniques. Participants will take home their own starter vat for future experiments. There will also be a final piece to make with silk or cotton. Rio has been developing processes and studying ancient techniques for the last 18 years. In this time she has created a diverse body of work that has informed her practice and eventually lead her to share these processes with others. The rituals of life are the basis of her work, and this ritual is shared as sacred space in workshops.